Brandon studied economics and environmental studies at UC Santa Barbara. Professionally, he is a green building professional and sustainability consultant for corporate real estate companies. Brandon provides expertise for these companies to make environmentally responsible decisions for their building and occupants. This training has been critical in my life. It has allowed me to let go of the things that do not serve me and grow in the areas of health and holiness. The Gong Avatar training is integral in everything I do in my life and it continues to break down my external layers in allowing me to live my truth and be who I truly am. Not only has it improved my connection with my spiritual source, but it has allowed me to connect with loved ones in an entirely new way. I absolutely will recommend this training to others because it has brought so much light into my life that I couldn't possibly keep it a secret! Johanna finished a Bachelor's Degree in Science Major in Biology and a Bachelor of Laws. Currently she runs her own business in the healthcare industry. She is very passionate with yoga and self exploration. 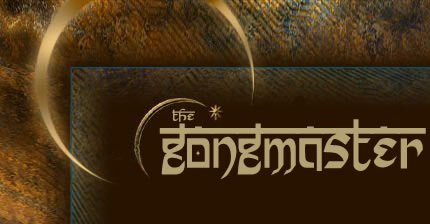 The Gong Avatar Training has opened my eyes to the world beyond the matrix. It has increased my awareness and self-love. This training has showed me my path and am able to live a happy and very fulfilled journey. It also helped me understand who I really am. Highly Recommended!!! 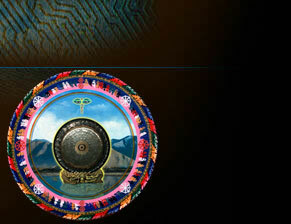 I recommend the gong class because it offers an opportunity not only to experience multiple planetary gongs, but also to explore different topics within the spiritual realm which enrich ones' knowledge base. 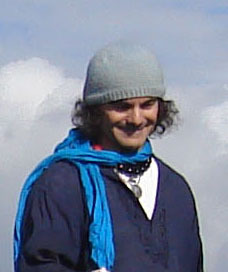 Trinity Devi is a Gong Avatar Trainer, Kundalini Yogi, Sound Energy Healer and Ayurvedic Practitioner. She has been in the yogic path and healing practice for at least 15 years. Her profound affinity and dedication to the practice of Yoga, Meditation, Sound and the Gongs has led her to teach trainings for the Gong Avatar Academy in Miami, contributing to the growing community of conscious Gong players. Through her extensive background and devotion Trinity Devi brings, clarity, balance, intensity and fun to her classes, workshops and personal sessions. Trinity Devi (Tatiana Daversa) is a Certified Ayurvedic Practitioner. Her personal yoga and meditation journey began in 2001 by experimenting with various styles and practices. She concentrated her studies in Kundalini Yoga at Golden Bridge Yoga with Master Teachers Gurmukh, Tej, Harijiwan and Gurushabd, and is certified as a Kundalini Yoga Instructor through the Kundalini Research Institute. Also through Golden Bridge Yoga in Los Angeles, Trinity Devi became certified as a Khalsa Way Prenatal Yoga Teacher. After studying the art of Therapeutic Gong Playing with Gong Master Harijiwan, Trinity Devi advanced into deeper layers of Self and Gong Mastery, Sound and Vibrational Healing under the tutelage of Master Gong Avatar Sotantar Suraj at the Gong Avatar Academy. 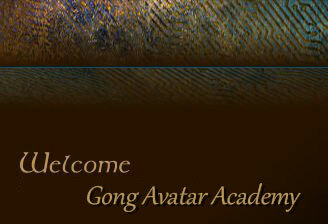 Now a Gong Avatar Trainer, Trinity Devi leads Satelite Trainings for the Gong Avatar Academy in Miami, FL. She is a Reiki Master certified by the International Center for Reiki Training (2005), and an Integrated Energy Therapy Advanced Practitioner certified by the Center of Being. Trinity Devi has also studied Aromatherapy and Marma Therapy.